Since the forecast is calling for snow tomorrow and the calendar now reads January, it is time to break down the golf year that was. By my standards, it was a wonderful year filled with some great courses, great fun and even some great shots. I track courses played more than rounds played and my 2011 totals were as follows: 31 courses played in six different states. Sixteen of the courses were new since I began tracking all of my courses played at the beginning of the 2002 season. 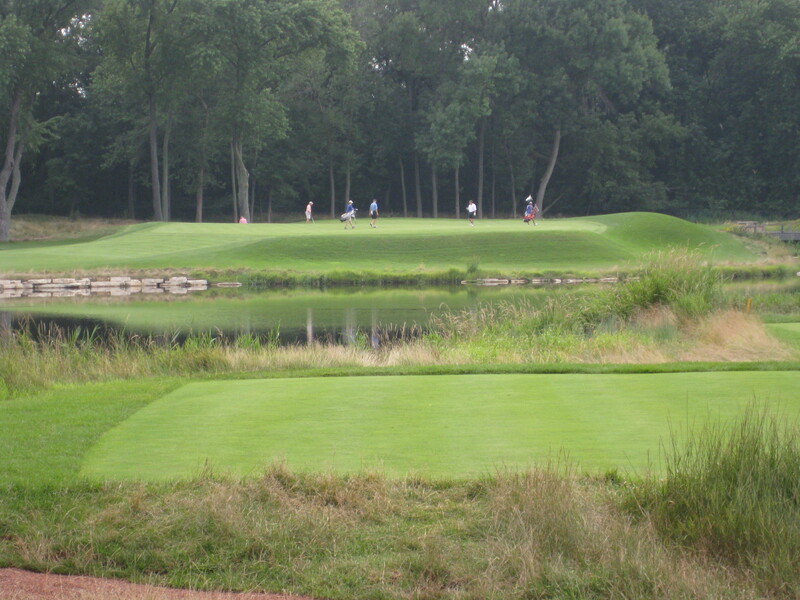 I also played five Minnesota courses that I hadn’t ever played or hadn’t played since before 2002. This was only the fifth time in the 10-year span in which I’ve reached the 30 course mark and the first time since 2007. I’ve actually only played more than 31 courses twice in this span (37 courses in 2005 and 34 in 2004) and both of the previous years were aided by several rounds played during work trips to the NCAA Tournament and the like. In addition, the 31-course total was a significant upgrade over the past two years in which I played only 22 courses in 2010 and 16 in 2009. Here’s a look at my year (including some pictures). Highlight of the year: My first full year at my current club. I had been at a different club for nearly a decade and I kind of reached the point where I was getting dragged down by that experience. I was frustrated with management and some of the day-to-day practices there. The fact that I was on the board didn’t help things. I joined my new club late in 2010 and it has been really good. Fun course, great pro/staff, really good conditions, nice people, lower dues and some fun standing games. After kind of losing the love a little bit, I love the game as much as I ever have. 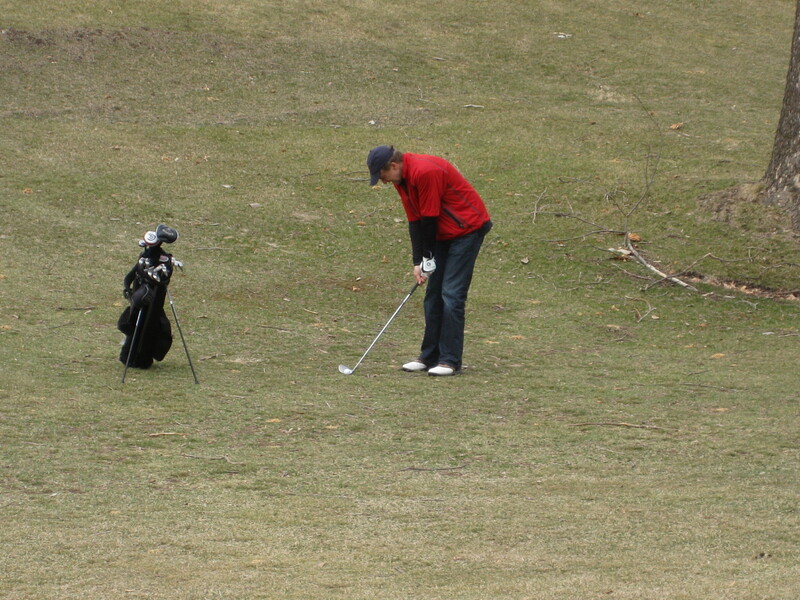 I played a ton of golf in 2011 and got out a lot after work as the club is only about 10-15 minutes from my office. Most fun course of the year: Blue Mound Golf and Country Club. 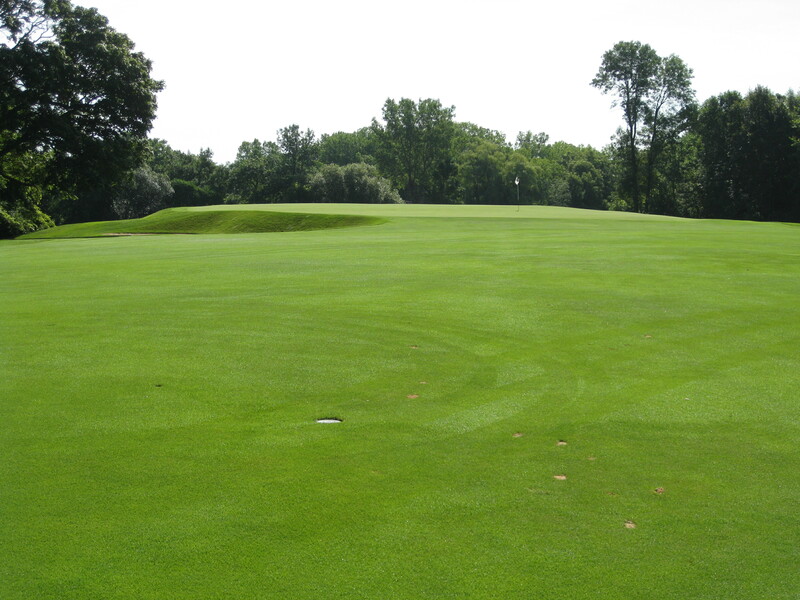 I played this Seth Raynor course at the end of July and blogged about it here. Blue Mound is simply a blast and would be very fun to play on a regular basis. It looks pretty open off of the tee, so it doesn’t beat you up that way. But you need to pay attention to where you hit your tee ball in order to have the best angles into some really cool green complexes. 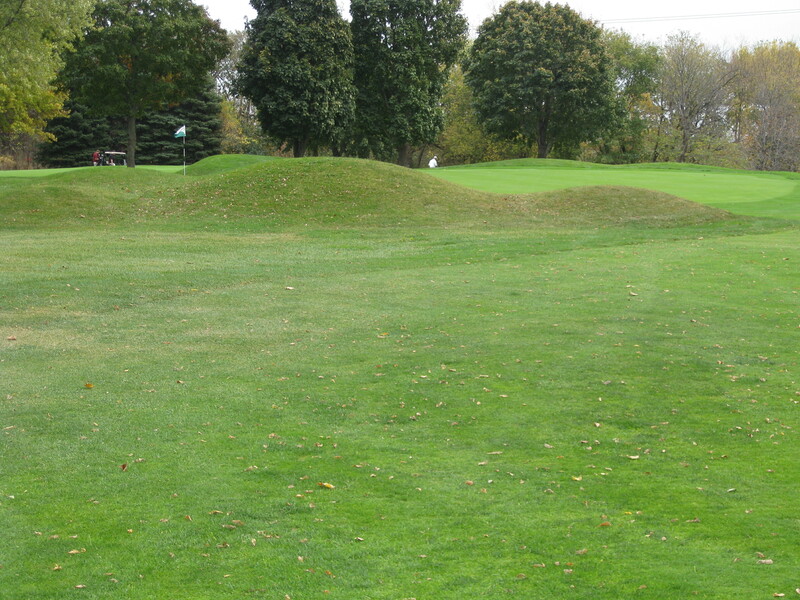 I was actually surprised that Blue Mound held up as well as it did as the second stroke play course for the U.S. Amateur. There were a few low scores, but I think the green complexes kept the young bombers from going ridiculously low. I got an invitation to go up to Northland in September and pretty much spent the day thinking about and talking about why I think it might be the No. 1 treat in the state for a golfer who lives in the Twin Cities. 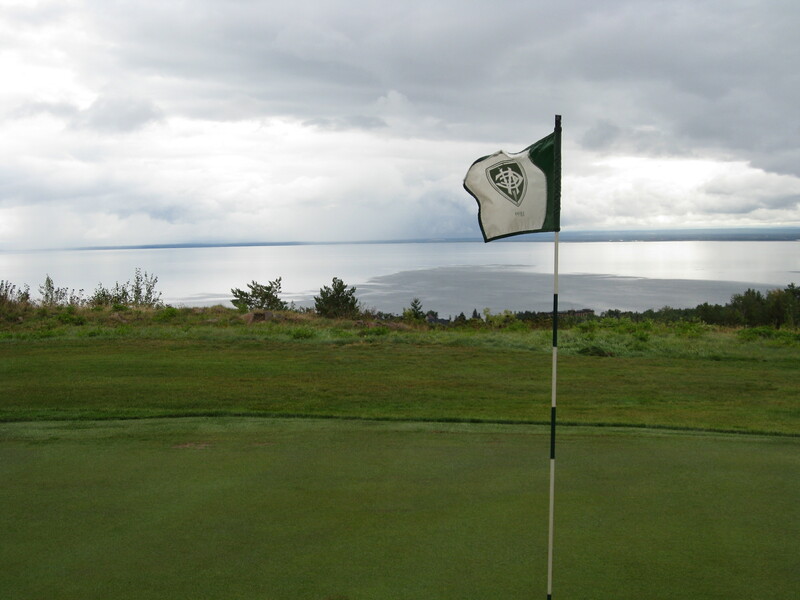 The golf course at Northland — a great Donald Ross gem that overlooks Lake Superior — is the star, a trip to Northland is more than that. To me it is just as much about solitude and really escaping from reality for a little while. Let’s say I get an invite to play your favorite club in the Twin Cities on a random weekday afternoon. It doesn’t matter if it is Minikahda or Hazeltine or Interlachen or Spring Hill or anywhere. If we’re teeing it up at 1 p.m. or something, my day is going to go something like this: I’m going to get up a little earlier than normal so I can get to the office a little earlier. I’m going to work like crazy for a bunch of hours to get as much done as possible, I’m going to sneak out of the office at close to the last possible moment and hope like heck that nobody catches me as I power walk from my desk to the elevator. From there, I’m going to get to my car and there’s a good chance I’m going to be making a work-related call on the way to the golf course and there might be a fast food drive-thru in my life. When I get to the club, I can almost guarantee that I’m going to be checking an email in my car in the parking lot and I might have to respond to something before I put my phone in my bag. I’m sure the golf will be great and it will be a great afternoon, but there is also a bit of stress that goes along with sneaking away from the office for some afternoon golf. Because who is really going to burn a full day of PTO to play and afternoon round at, say, Somerset. Not me. That’s part of why I love Northland. There is no way to sneak out of the office and play in the afternoon at Northland. Not if you live in the Twin Cities. A round at Northland requires blocking out your calendar. It requires taking the day off. It requires some commitment. It is a true break from life, but it is also a pretty easy one-day trip. I went up by myself, leaving the house pretty early on a weekday morning. The further north I got on I-35, the more excited I got. As an aside, one of the things I loved about my time living in Cincinnati was the view of downtown as you made your way from the airport into the city. You go around a corner and it is there and it is a great view. I feel much the same way about a trip to Northland. When I go around the curve by Spirit Mountain and get my first glimpse of the lake, it takes my breath away. I love it and I know I’m in for a great day. The day I played at Northland was one of the first really cool days of the fall. It rained a little. I wore several layers and I think I wore my rain pants all round. It didn’t matter. It was a blast. In some ways it might have made the day even better because we had the golf course almost to ourselves. I think we saw three other groups the entire day. 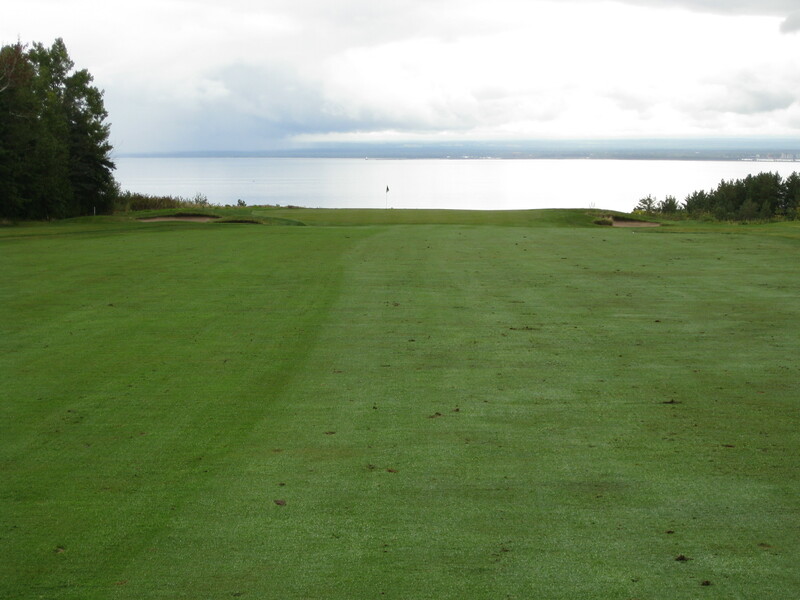 While I’m not going to argue with anybody who says that they like a certain Minnesota course more than Northland, but I think it is my favorite golf course in the state (despite only a handful of rounds there). I just think it is such a cool spot. And every time I’m there, I think about how cool it would be to be a non-resident member there. Here are some pictures from a day I was going to blog about, but didn’t until now. In a November trip to North Carolina, I played a pair of golf courses — Greensboro Country Club and Old Chatham. 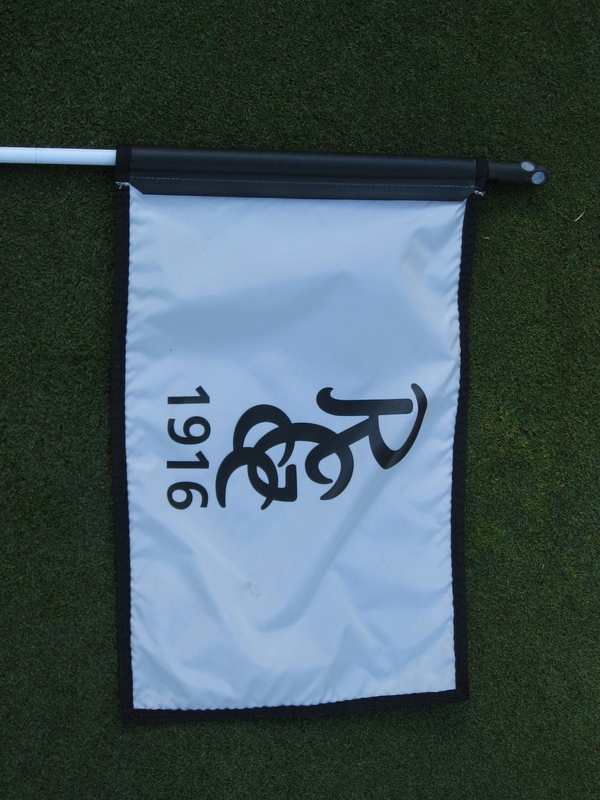 I had heard quite a bit about Old Chatham, a nice Rees Jones course in Durham. I didn’t know much about GCC other than it was originally designed by Ellis Maples and was recently restored/renovated by Donald Steele. I really enjoyed the golf course. There was a good mix of holes. There were interesting greens. With the exception of one long green-to-tee walk, it was very walker friendly. And unlike some renovations where the golf course is made harder and often less fun, the work by Steele was a nice mix of challenging from the back tees, but still very playable from middle and forward tees. It would be a wonderful place to be a member. And, yes, I forgot my camera. This is unquestionably a bucket list course. Great historic club. The 2012 Ryder Cup will be played there. Hale Irwin’s lap around the green in 1990. So when I received an invitation to play Medinah, I jumped. It was a great day. Now I realize that I play a very different game than the pros, but sometimes it is good to be humbled. And that was the case at Medinah, a course that makes Hazeltine look really easy. 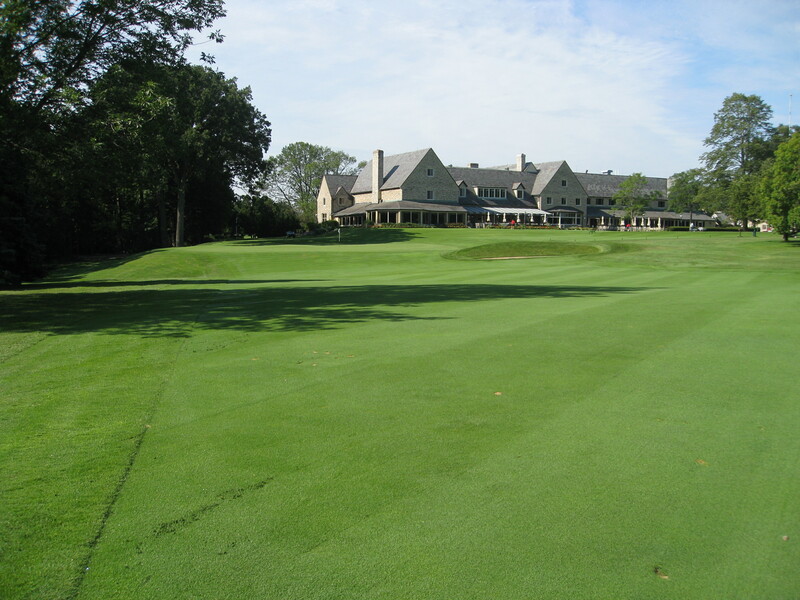 I blogged pretty extensively about Medinah here. 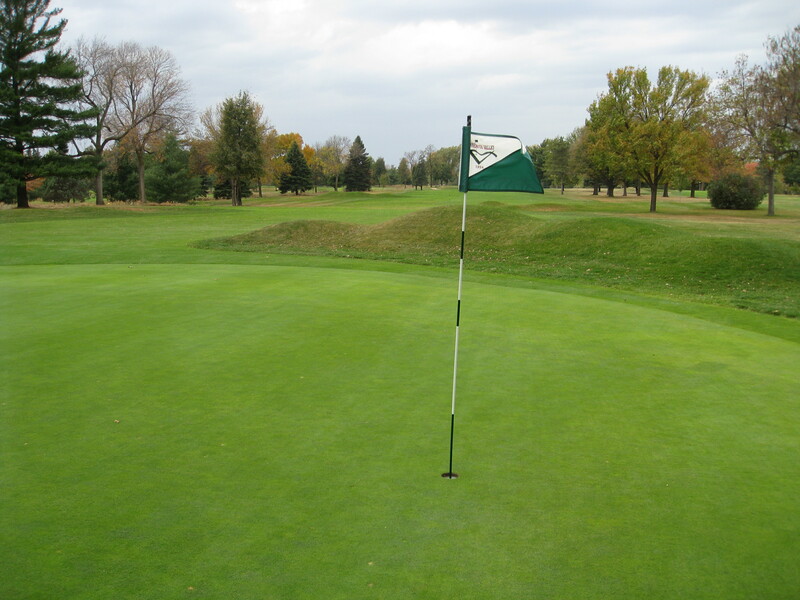 I made my points about Blue Mound above, but I also had a wonderful afternoon at Skokie Country Club the day before. 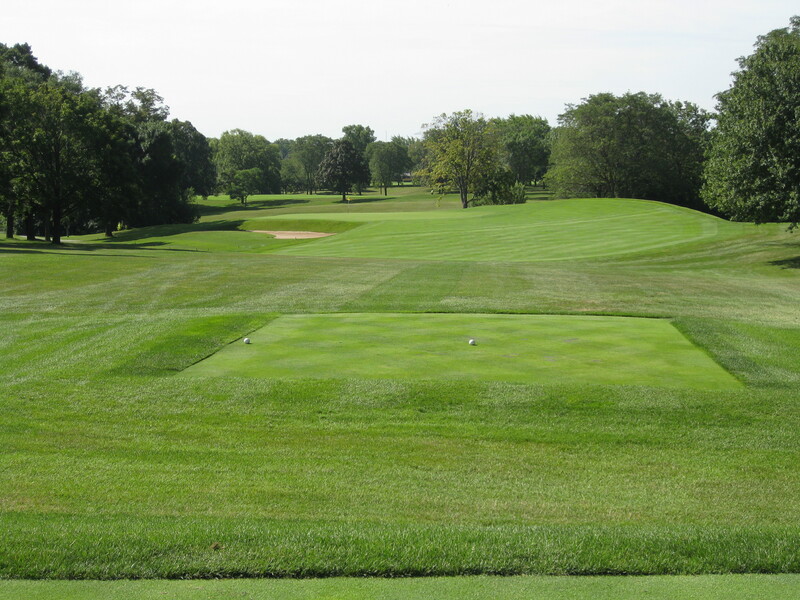 Skokie is a great old-school North Shore Chicago suburbs club that has holes designed by both Ross and Lanford and Moreau. 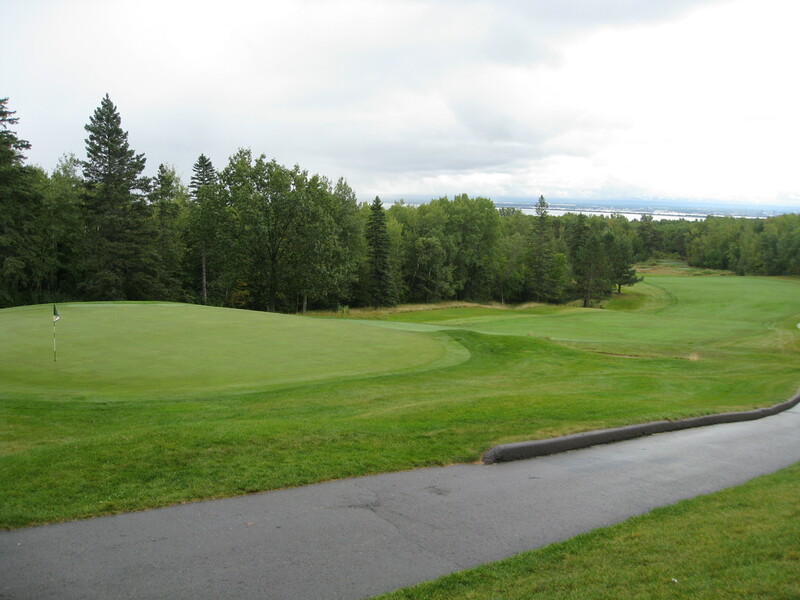 The course was renovated by Ron Pritchard and the result is a club with a lot of good green complexes, a great use of angles and without being overtreed. The members here are very proud of their course, they get that trees usually cause more harm than good and that giving players options can lead to a lot of fun. 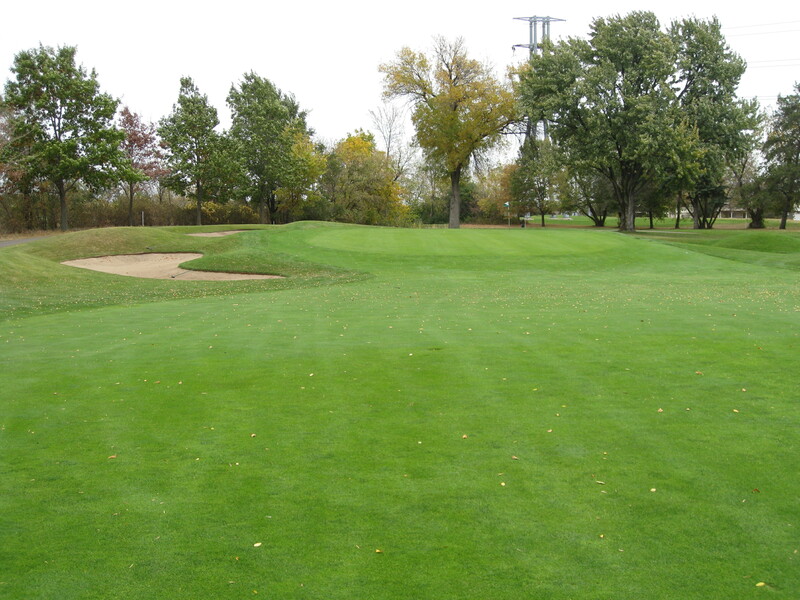 While I said Blue Mound was the most fun golf course I played, Skokie was really close behind. I think Skokie is a better golf course in part because it is more challenging. I didn’t take many pictures that day, but here is a picture of a wonderful par 3 with a really cool diagonal green. I played Minnesota Valley, a Seth Raynor design in Bloomington, for the second time in as many years. Every time I play there, I walk away thinking how fun it is. There are reachable par 5s, a few cool par 4s, some good green complexes, some cool old school design. And yet not very many people talk about it. Or at least not people I know. Part of the problem is that it might be the only club in town where I don’t know a single member or at least know a couple of good players there. But the club appears to still be doing fine financially, the golf course was in good shape when I played late in the fall. And there are some really fun holes. It doesn’t have the name recognition as many other places in town, but it is really fun. Here’s maybe my favorite green there — the Alps hole where you likely have to fly it onto the green. 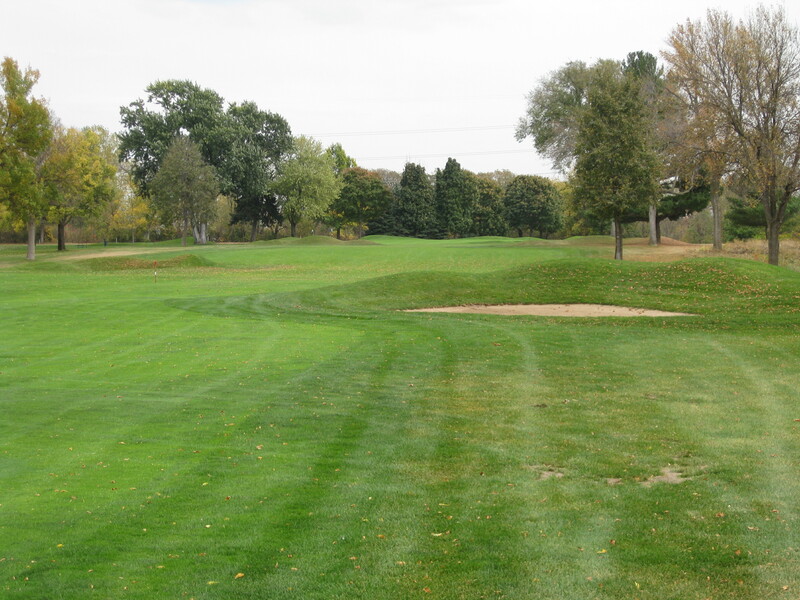 It had been eight years since I teed it up in the 2003 Minnesota Mid-Am at Brackett’s. I thought the golf course was fine when I played there then, but didn’t really feel some great rush to go back there. Brackett’s is one of the three clubs that my club has reciprocity with and a buddy of mine and I went out and spent a lovely Friday there. The golf course is very solid. The greens were very good and nice pace to them. It was in good shape. Now the first par 5 (No. 3?) remains super dumb because of the trees on the corner of the dogleg, there are a bunch of good holes. And you have to hit the ball well to put up a good number. In addition, there aren’t many clubs in town with a better pro shop-driving range-first tee set up than they have at Brackett’s. The golf shop is in a separate building from the clubhouse and it sits just steps from the first tee. On the north side of the shop is the driving range and between the two is the putting green. It’s a place where you can easily hit balls until less than 10 minutes before your time, roll a few putts on the putting green as the group in front of you tee off and then walk a few steps to the first tee. A great set up there. While the pine tree logo has been around forever at this Tillinghast design, I like this better. The craziest round was the first of the year. My friend Jason and I left Minneapolis about 7:30 on a March morning. Four hours later we were in Des Moines and teeing it up. We played 18 holes, got some lunch and drove back. The full exploits can be seen here. There were certainly other great moments this year. 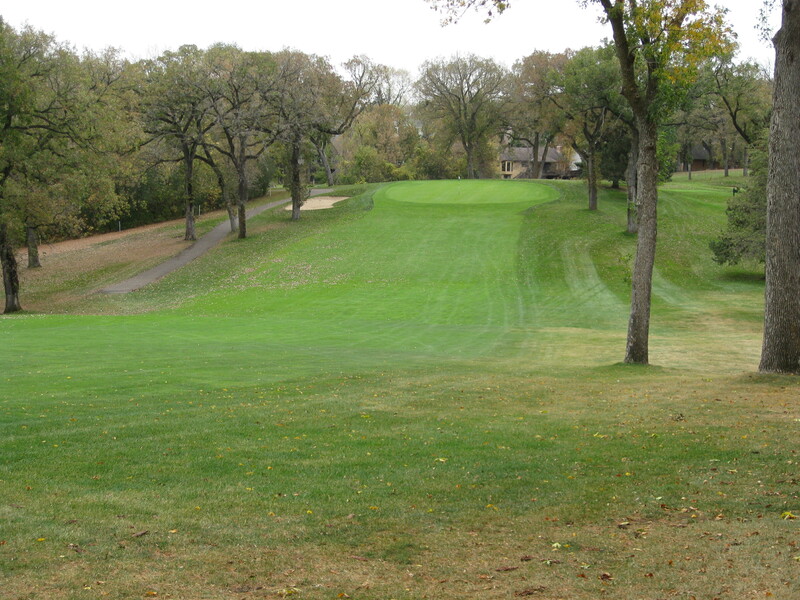 I spent the weekend of the Tapemark experiencing the depth of Twin Cities golf by playing a pair of clubs (Hillcrest and Hastings) that many people don’t think of, but I think are great fun. I had a great fall day at Big Fish with some friends, playing a great value course. I made back-to-back-to-back birdies to close my round at Old Chatham. I somehow managed to shoot under par in Phoenix. I got an early look at the work done at Hazeltine (and made birdie on 17). 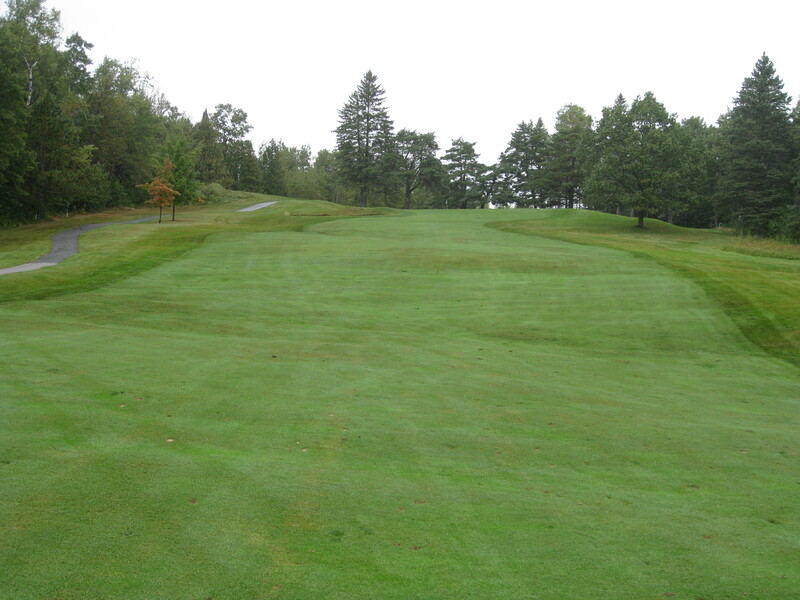 And I had a nice GCA day at the solid Eau Claire GCC. It was a good year. And I’m looking forward to another good year in 2012. Thanks to those of you who have read this all year and commented on threads. Because while this is kind of a way for me to write and chronicle my game/where I played, it’s nice to know that it is at least a little entertaining for others. Very nice post Jeff. That Northland really is something, isn’t it! I didn’t quite make 31 rounds but played all four at Bandon, including Old Mac 3x. Plantation course in about two weeks and I passed up an opportunity to play Cypress Point and Monterrey Peninsula Club. Why pass? Its a long story. You passed on Cypress and Monterrey? Wow. And I don’t know exactly how many rounds I played (in part because of the number of 9s, 13s, etc., that I played after work), but 31 was the number of courses played. Awesome post Jeff. Heck of a year! Keep up the blogging. Blue Mound is great fun, but I’m not sure the new Edina CC is far behind?? Nice post, Jeff. I didn’t play nearly as many courses, but hitting Erin Hills and Whistling Straits was a major highlight, especially playing the back 9 at Erin Hills and I was the only one on the course on a gorgeous Midwestern evening. I didn’t play as much as I should have with the nice fall, but think I was a bit burned out after our college season. Heading to Fort Lauderdale for spring break–any suggestions? Great post Jeff – I always love the “Year-End Reviews” from the various sites and blogs. Mine is long overdue…got to get crackin’! You write: “By my standards, it was a wonderful year filled with some great courses, great fun and even some great shots.” If there’s anyone for whom that would not be a wonderful year, I don’t want to know about it! Here’s to a great 2012, for all of us. How much does a non-resident membership at Northland cost, Chris? You might get more than one taker. Always enjoy your posts. Well thought out and conversational yet the passion still shows through.